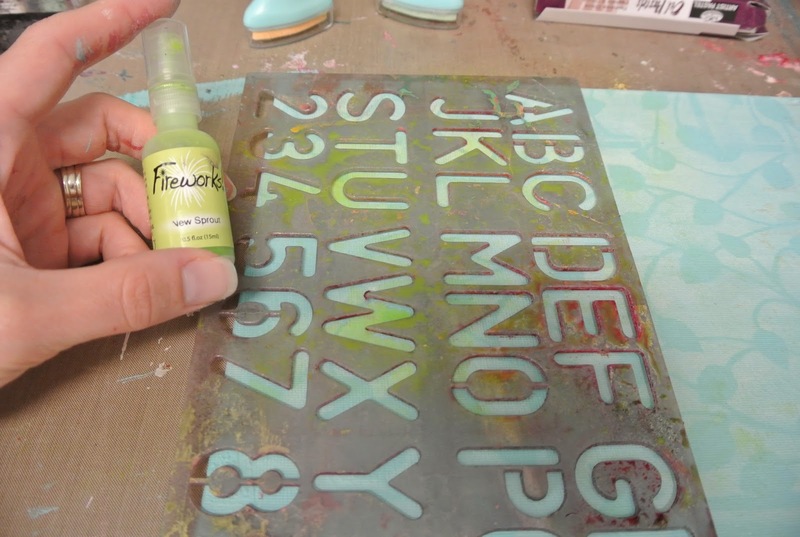 This tutorial and project were created for Frog Dog Studio using the May kit. Good morning! 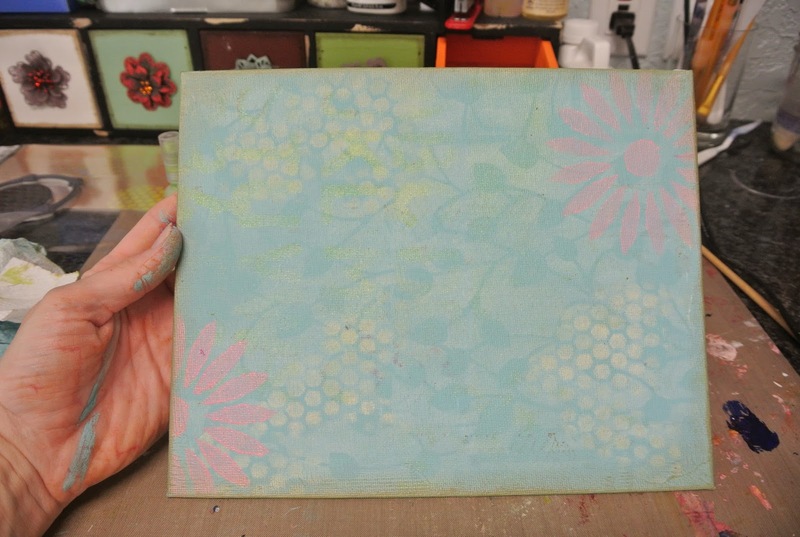 Today I have a canvas project tutorial to share with you. 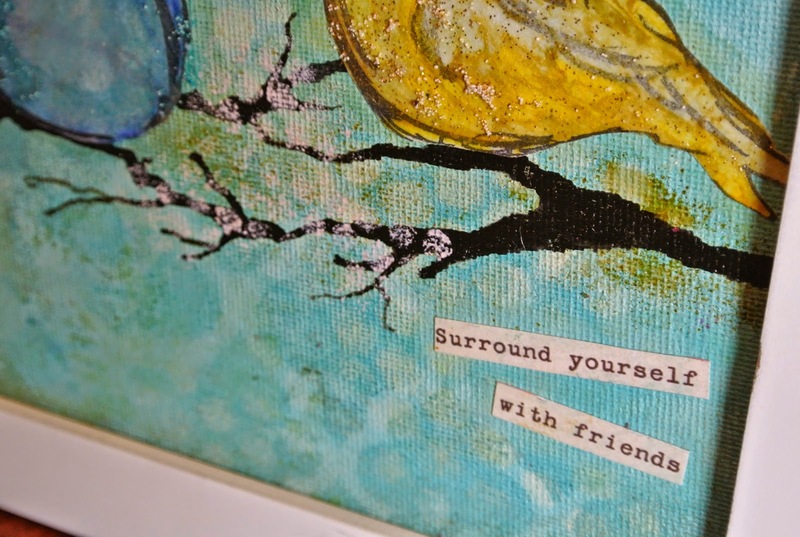 This is one of my personal favorite projects–it was fun and easy to do. Let’s get started! 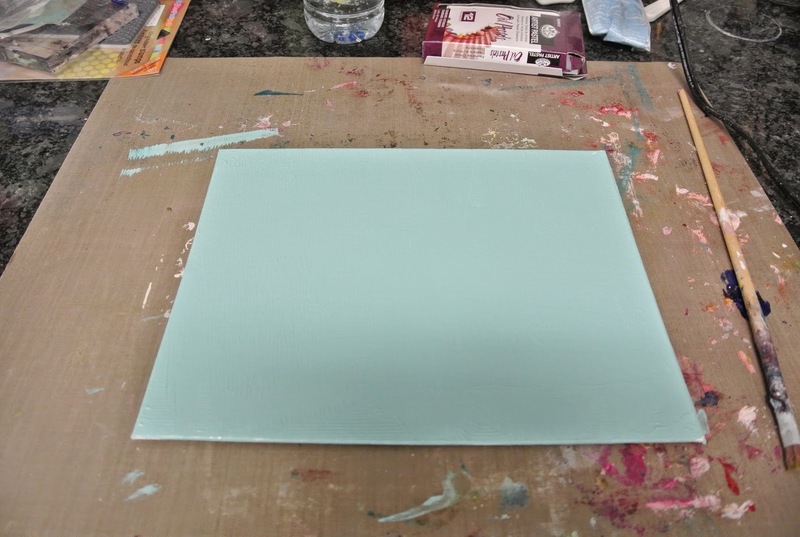 To begin, I used an 8 x 10 canvas board covered with a light coat of gesso. 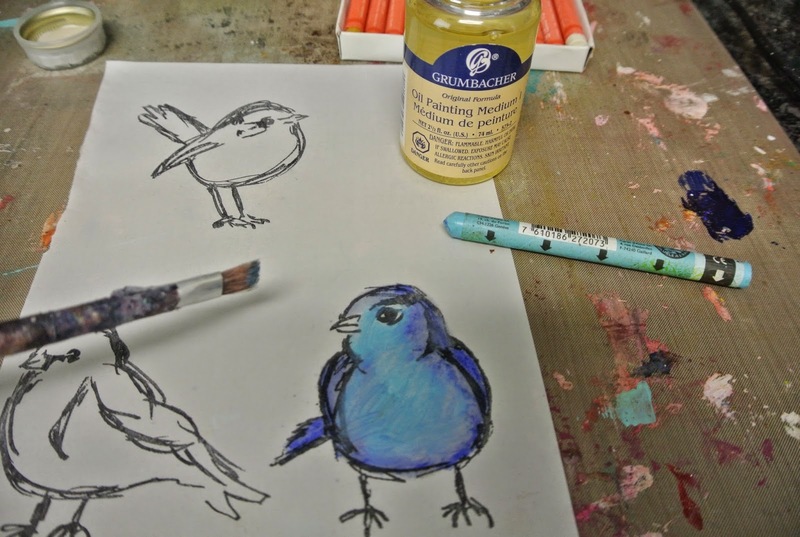 I used several shades of blue paint (including the one in the kit) and a brayer to lightly spread the paint around. 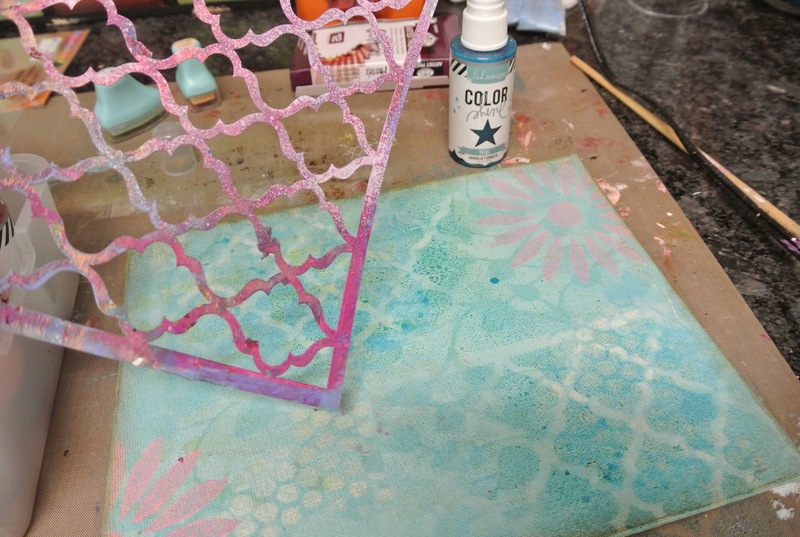 Next, I laid down a stencil and used the liquid chalk ink from the kit to create a light background pattern. 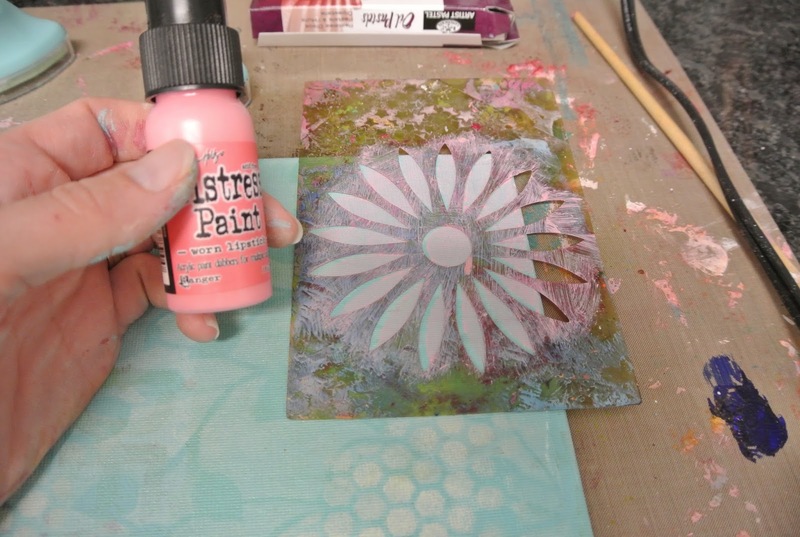 Using stencils, spray ink, and distress paints I created a few layers on the background. I went around the edge of the whole board with gold Gelato and rubbed it in with my fingers. 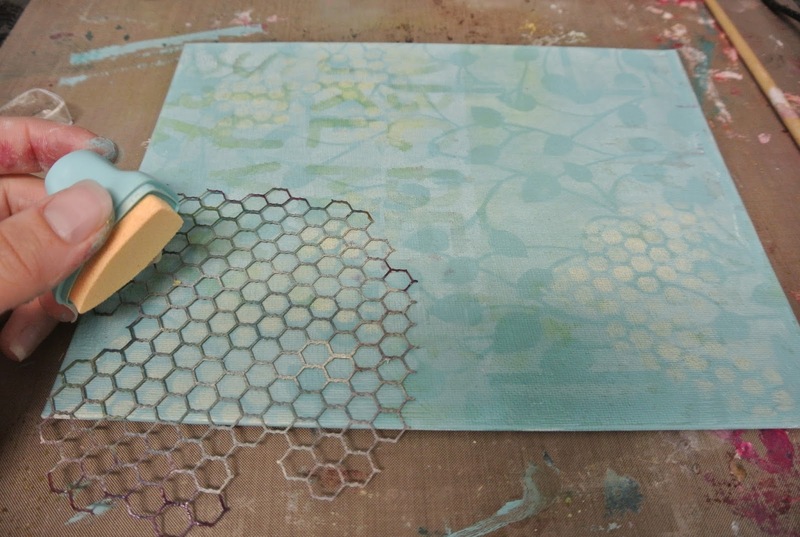 Then, I added a little bit more texture with spray ink and stencils. 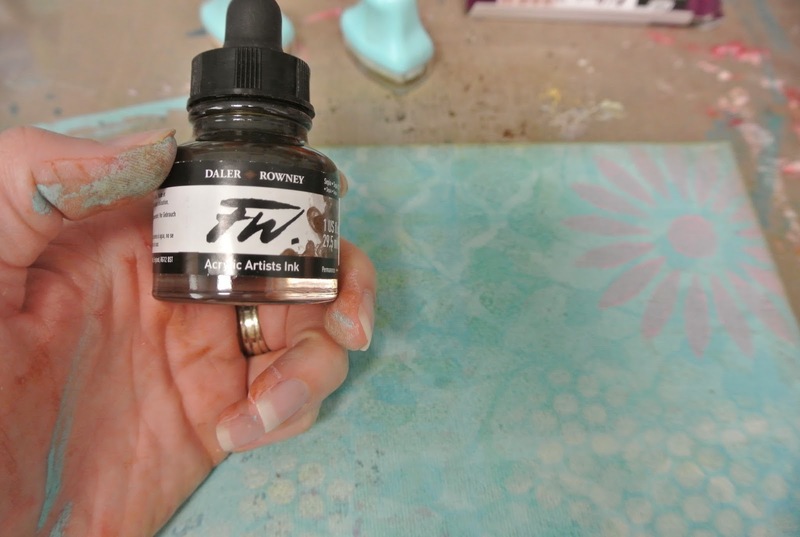 Using the dropper in my sepia ink, I loosely sketched in some tree branches. 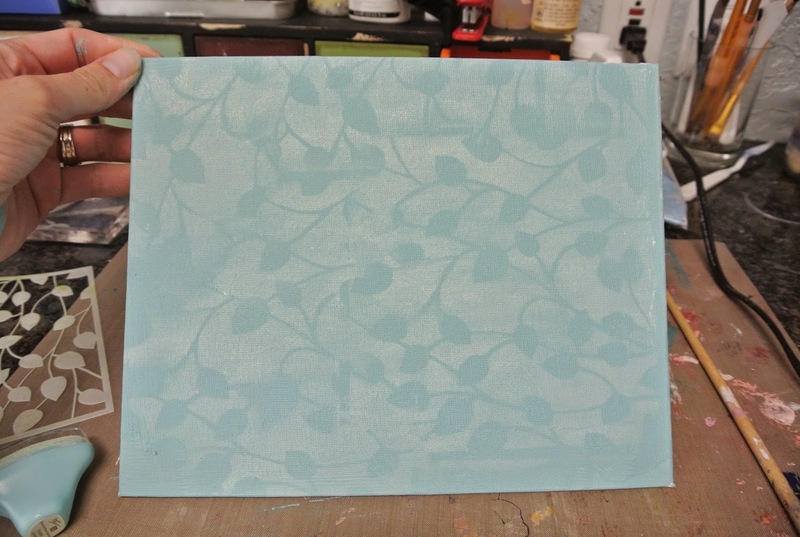 I did this by just starting at the edge of the canvas and slowly dragging the dropper across the canvas. 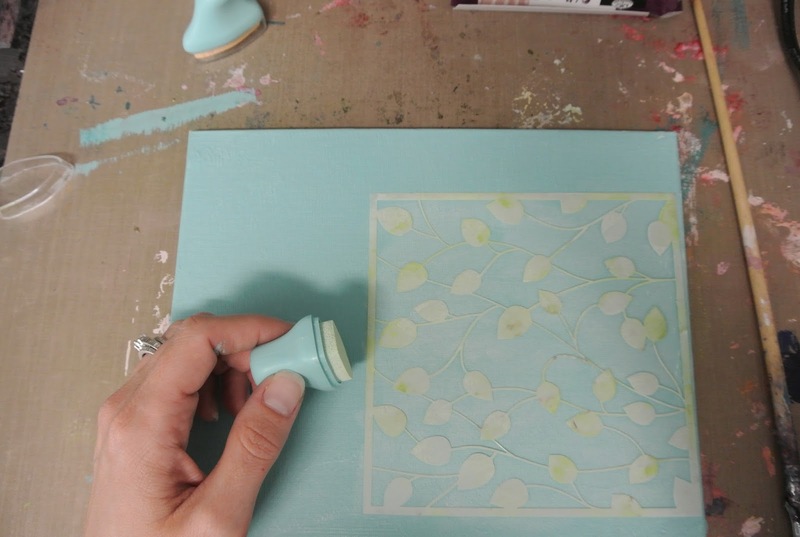 You can squeeze more ink out to make the branches thicker, or just spread sections that are already thick to add thinner branches. 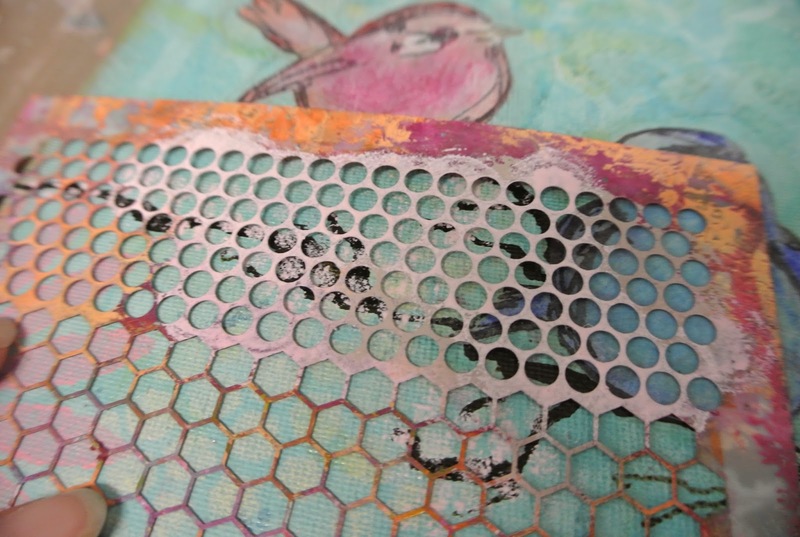 I set the canvas aside to dry and pulled out a sheet from the vellum book in the kit. 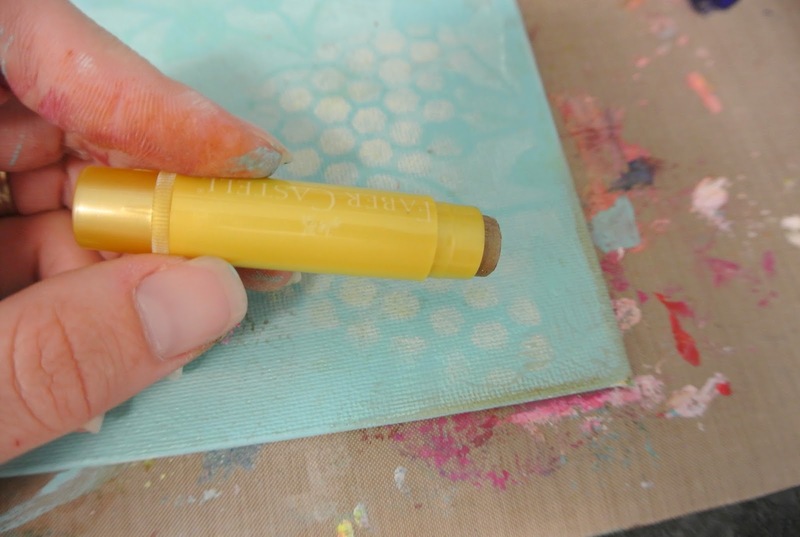 Using the new Dina Wakley stamps (which I LOVE! 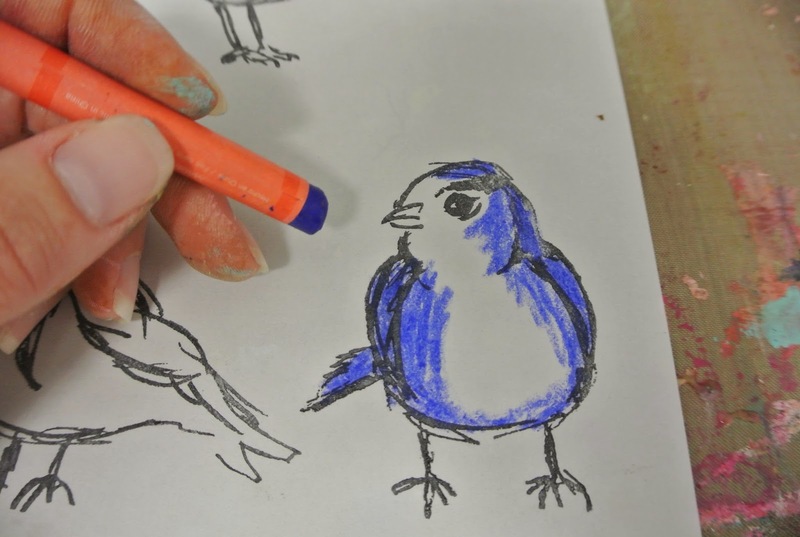 ), I stamped the bird images then colored them in using a mixture of the oil paint crayons, oil paint medium, and watercolor crayons. I wanted a very soft blended feel. 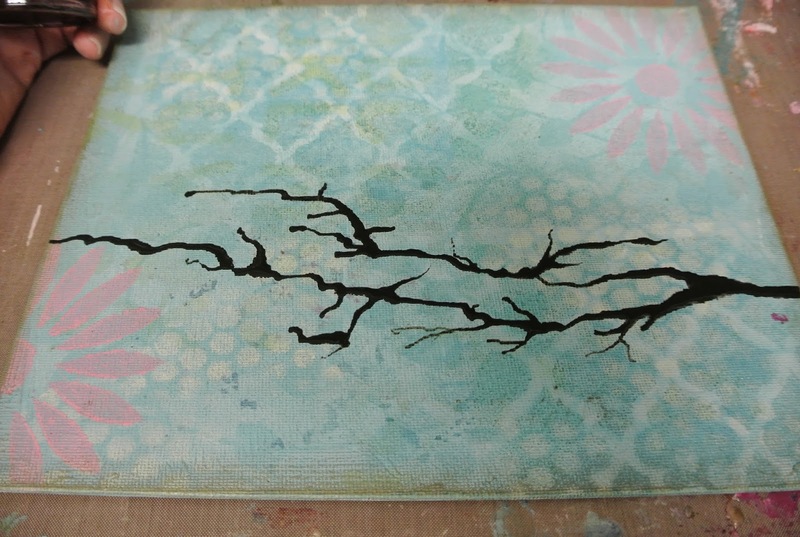 Since this has a very springtime feel to it, I thought I’d make the tree sort of a cherry blossom by adding some paint through a circle stencil along the branches. 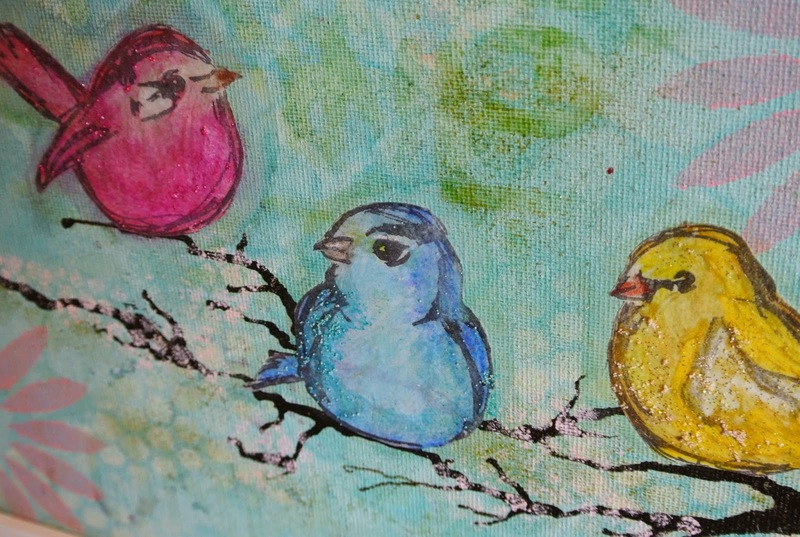 I fussy cut the birds and attached them to the canvas using matte medium. 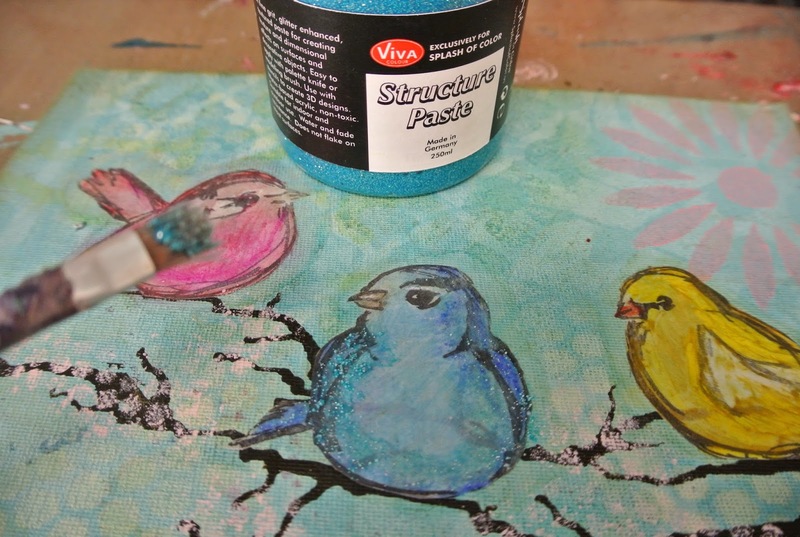 Then I added some colored glitter paste to the birds just for a little extra sparkle and texture. I also put a quote from my stash. 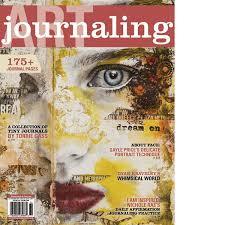 Making Time for Art Journal Play and Exciting News!! Good morning everyone! 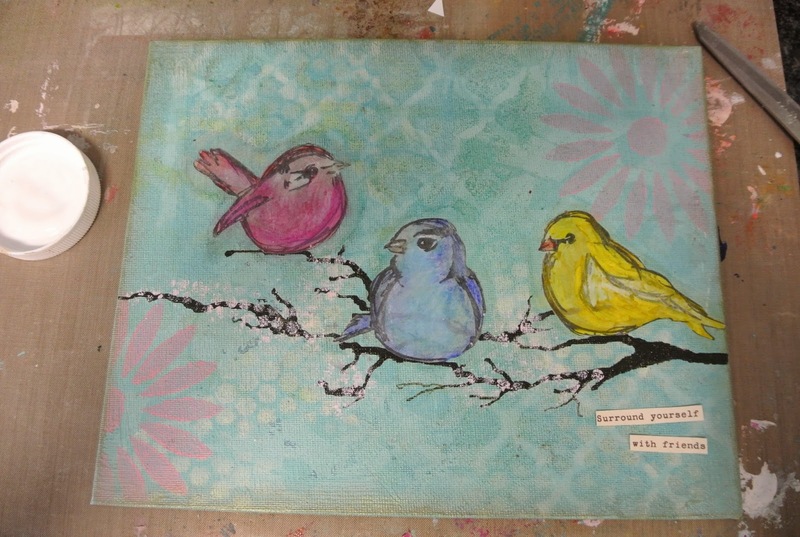 Today I would like to share a few art journal pages that I’ve done recently. 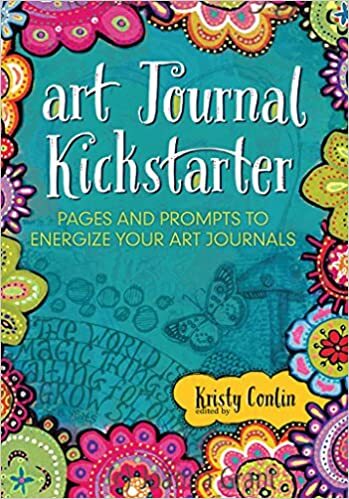 I’ve been part of an art journal swap hosted by Frog Dog Studio and let me tell you there are some seriously creative gals in this swap!! We all chose our OLW (One Little Word) as the theme for our individual journals then had fun swapping with everyone and interpreting THEIR OLW in our own unique ways. 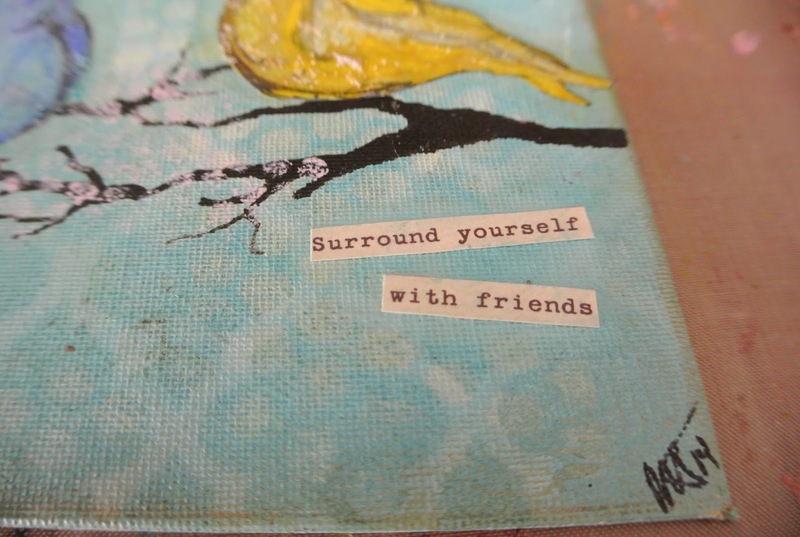 This is the first page in my personal journal. My OLW for this year was “Grow”. I was having so much fun, I decided to do up the very first page also since it was a single page and I had previously left it blank. 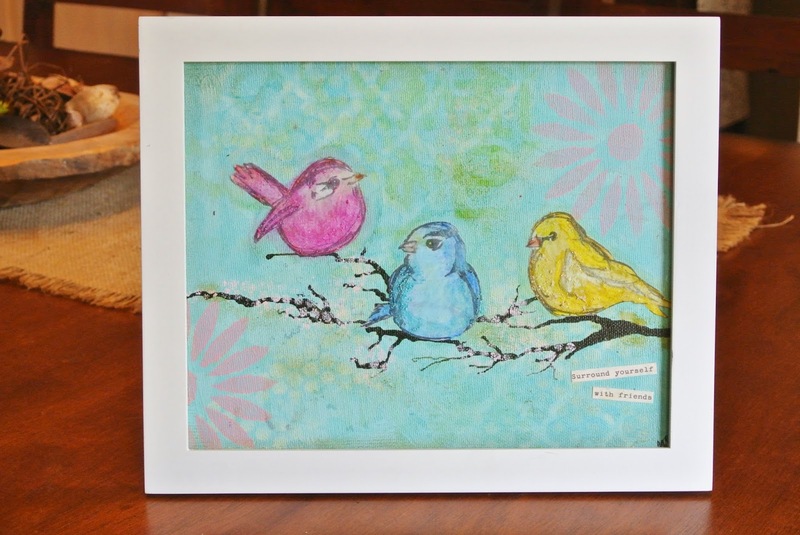 Here a page that I created using Dina Wakley’s Scribbly Birds stamps, as well acrylic ink and paints. Her OLW was “Reach”. 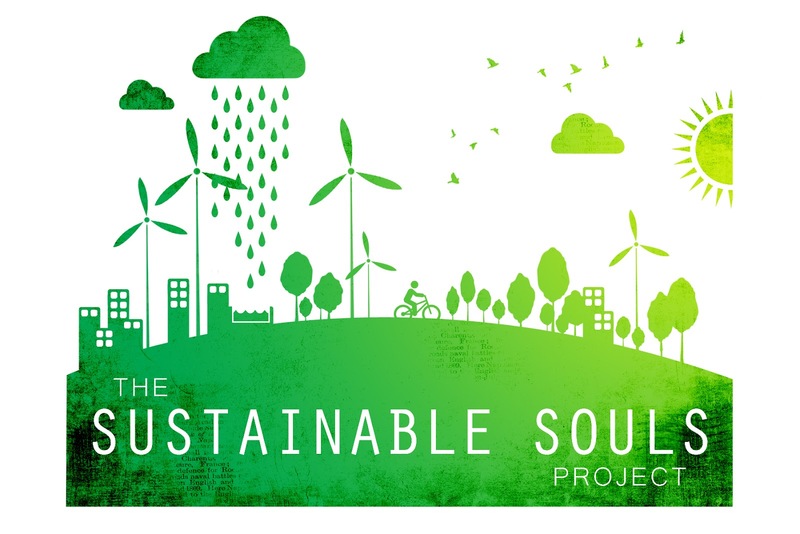 This page was created for the OLW “Dream”. 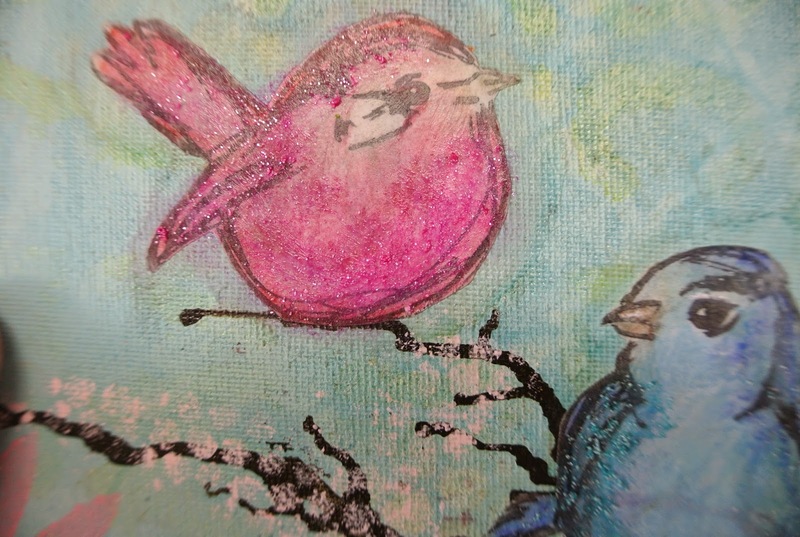 I used Dina Wakley’s Face in the Crowd stamp for this one, along with vellum, acrylic paint, oil pastel, and watercolor crayons and pencils, as well as stamps. AND NOW FOR MY EXCITING AMAZING HUGE NEWS!! !